As I was explaining earlier this week, all the card dies ( Butterfly, Flower, Phrase, Christmas, Oval, Fancy and Tab Cards) from the Sizzix Everyday Memories collection fit nicely on the pocket scrapbooking protectors. I tried the following protectors: Project Life, Simple Stories, We are Memory Keepers... They all work well with the dies. They are also designed to work for other projects. 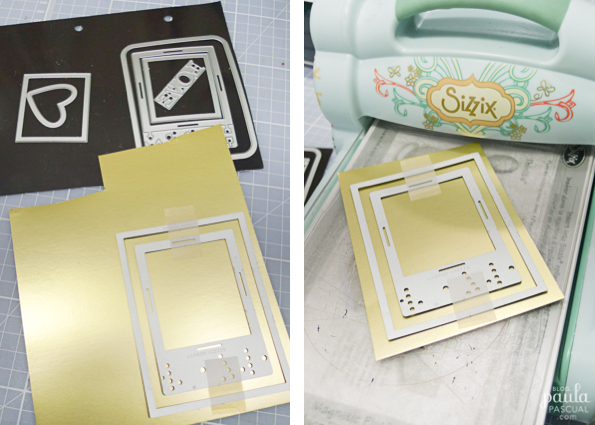 That is why I designed then so the outer 3 x 4" die is separate from the inner detailed die. 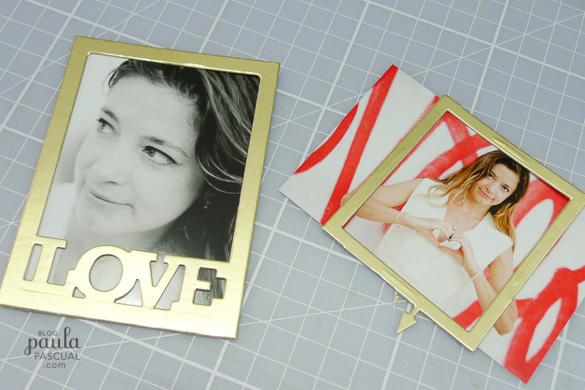 That way you can die cut both at once or separately for aperture cards. To die cut one LOVE card innie and outie, I place both of them on to the paper and secure them in place with 3M low removable tape. 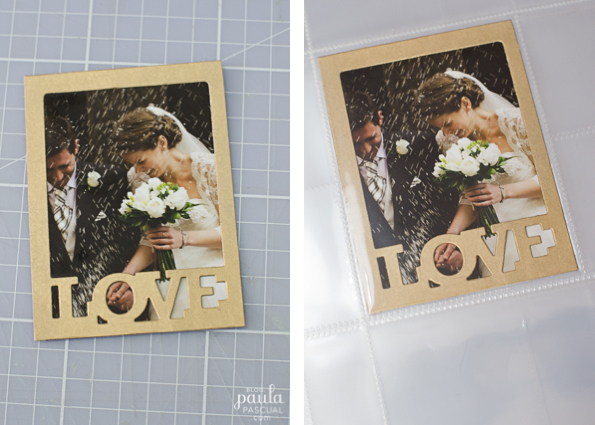 Alternatively (especially if you are not taking pictures of the process!) 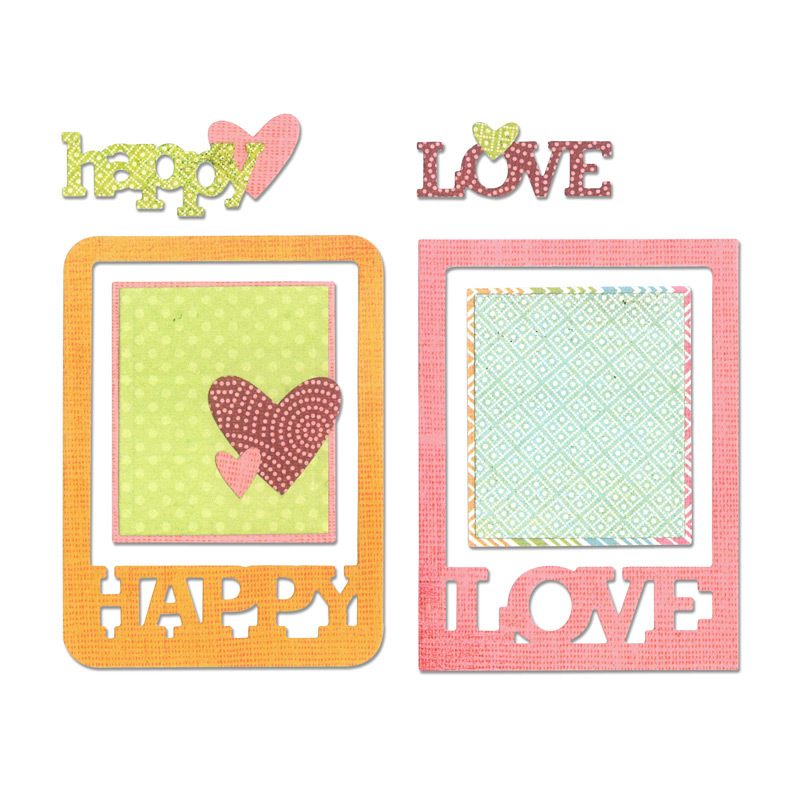 you can use the Sizzix Magnetic plate to secure them in place. Before I remove the die, I made sure that it had cut all the lines. I shouldn't have worried, but since it was foiled thick card, I wasn't sure. 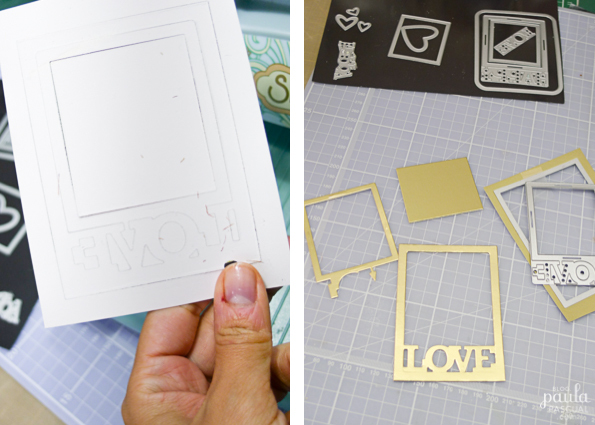 On the right you can see the die cut and leftovers, which are usable! 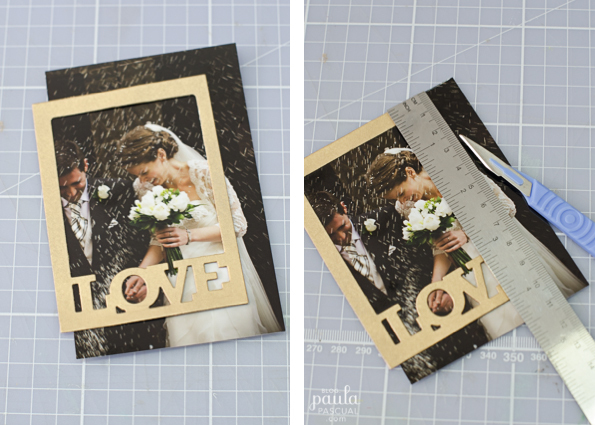 You can die cut the photo or if you prefer you can just glue the LOVE card on to the photo and then trim the excess old fashion style. Also, you can use the leftovers as another frame on the right!